Hello sweeties! 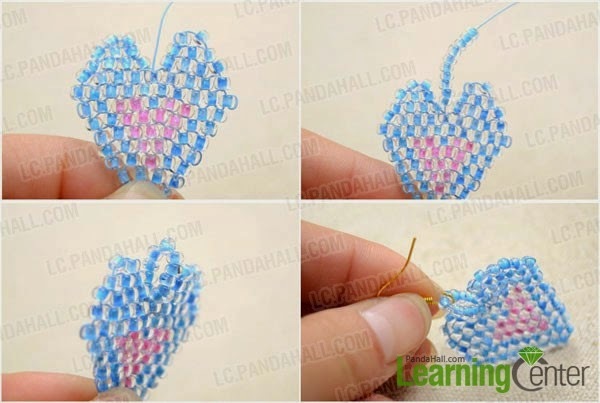 I am April from the Learning Center of Pandahall and I would love to share with you how to create cute Heart shape dangle earrings with seeds. Are you ready? I have used two different colors, but it is up to you what kind of color shades you wish to have. 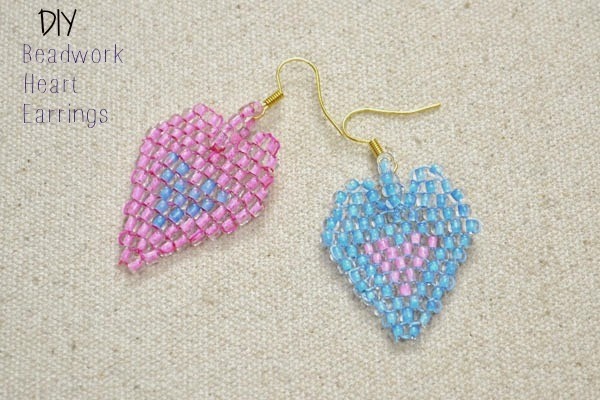 I have to confess that these earrings were created for the Valentine’s Day, but I use them almost everyday! 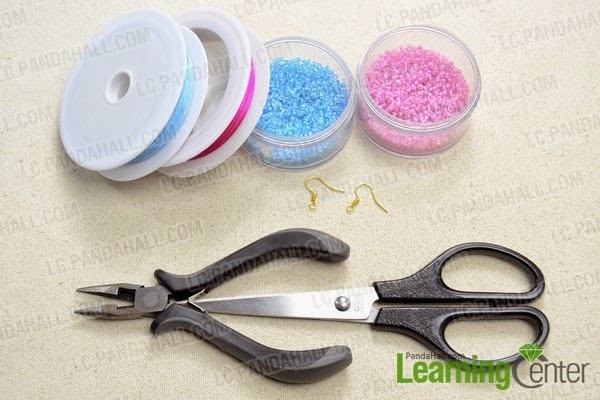 First of all cut a piece of wire, which again it’s up to you if you wish to have it colored or not. I used the same blue shade with the beads. Continue with the second row. Use a blue bead again, pass wire up through the seed and pull the wire. Proceed with another blue seed bead. Pass again the wire through exposed wire loop of the first row and then through the last added bead. 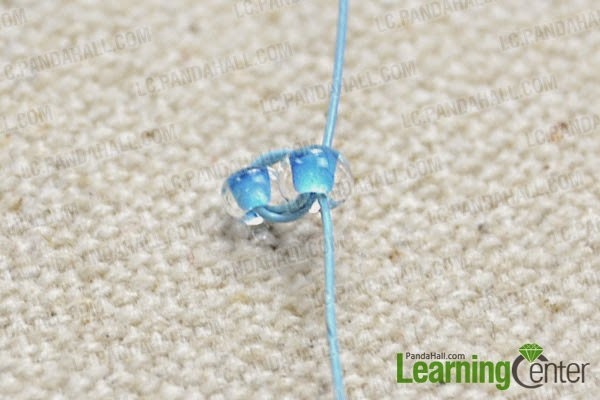 Tight the wire and add one more blue seed through the same wire loop of the first row and then pass it again via the last added bead. 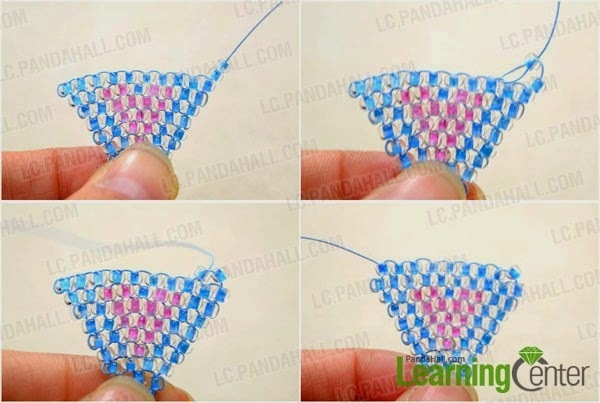 Use the same technique but with more beads in each row and if you wish add more colors. What I have done? I have added one more bead in each row (creating something like a triangle) and every time I have added more pink seed in the center. In order to be more easy I created first the left part of the heart and then the second one with the same technique. Direct the wire back to the 5th (middle) seed bead on row 10, then make an decreasing brick stitch pattern for the right part. The heart is ready!!!! 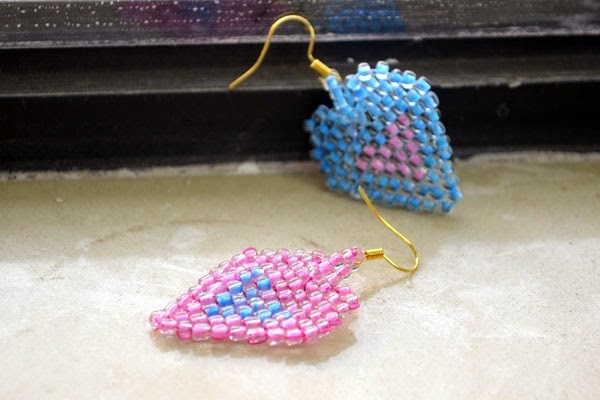 But instead of just using a jewelry jumping ring and connect it to the earring hooks, I created the same “ring” covered with beads. 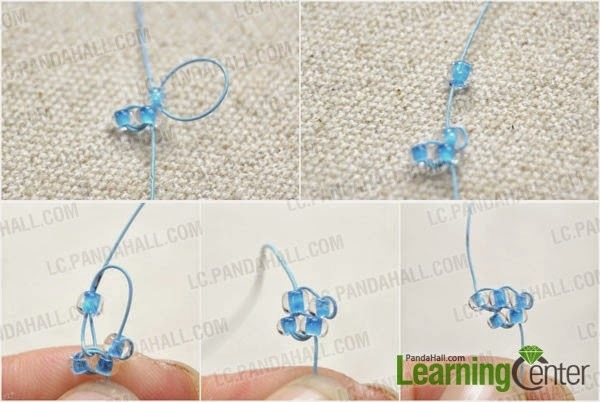 Use the remaining wire and add a few beads. String it and create a loop. Weave the wire between the seeds and close the loop. Add the earring hook and we are finally done! What do you think? aren’t they really cute? You can add of course ribbon or fabric scraps to add a bohemian note on them or small metal beads. They are just perfect for this season and of course for the Summer! I have never tried so far to create a beadwork jewel but I like them and April explains the technique so well. So I might try to craft something small for the beginning and later…who knows! Thank you April!